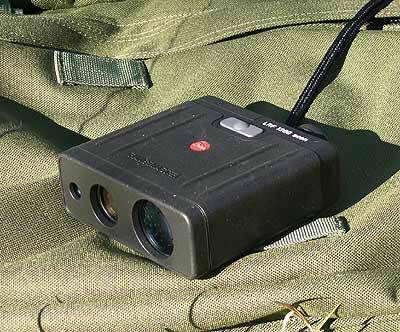 The usefulness of laser range finders for snipers is without question. They have become a very useful and beneficial tool in our craft. One of the top of the line Laser Range finders on the market for a while has been the Leica Rangemaster 1200 scan. This LRF has a good reputation and is considered one of the standards. We used one while on one of our range sessions at our unknown distance range and did an evaluation of this LRF. 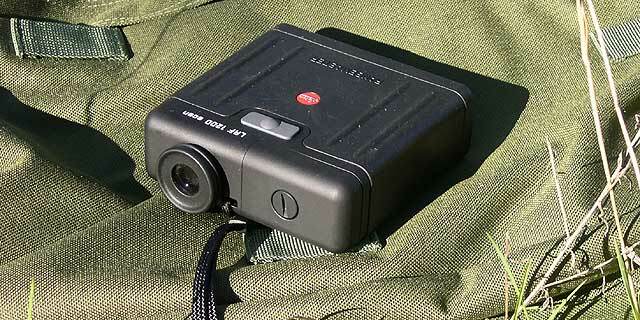 The Leica is one of the more expensive “civilian” LRFs on the market today and they were one of the first to offer a model with the capability of going to 1200 yards on a reflective target. The unit itself is compact and light weight, weighing less than a pound and only being 4.75″ long. The specs say that the laser is accurate up to 1200y or 1097m. Up to 436y the accuracy is +/-1y, from 436y to 874y the accuracy is +/-2y, and anything over 874y the accuracy is +/-0.5%. This is accurate, but also is the industry standard, so no news there. The Rangemaster 1200 has the ability to range two targets simultaneously, but we did not test this feature. The unit comes with a nice carrying case and also a strap in order to sling it around your neck. The unit carries a two year warranty and requires a 9volt battery which is good for about 1000 rangings. There is a single button for operation on top of the unit, and operation is about as simple as you can get, just point, and click. There is a slight pause and then the range is displayed in the sight, just below the square reticule. If it is unable to get a range, it displays three dashes. The unit has the ability to range in both meters and yards, again, an industry standard. The square reticule is also quite easy to understand and simple to use. The optics on the unit are very good and quite clear. Leica does make/use very good optics, and they did with their LRF also. When out at the range we started out at fairly short ranges, 400m and then worked further out, attempting to range targets of all sorts. We had our white steel plate as our primary ranging target, but then tried trees, hillsides, even houses. From 400-600m, everything worked very well and simple. We did try ranging distant targets from within a house and through a window, but that simply would not work, and we didn’t expect it to, so nothing noteworthy there. One thing we thought was an oversight and certainly would be an improvement, was the lack of a threaded mounting area for a tripod. There was no way to attach this LRF to a tripod. This is a real benefit when the ranges get large, and the targets are medium to small in size, but this tripod mounting area is all too often left off of laser range finders. As we moved out in range, we started to run into the problems. Typically, on non reflective targets, you are only going to be able to get a range to about half the rated distance of the laser. And that is about where we hit the problems, around the 600y mark. But, we also had problems getting ranges on our white steel plate. THAT surprised us. We were unable to get a reading at all at 680 meters on the white steel plate. We need to point out that we do not believe this is because of the laser, we are quite certain it was because we could not hold the unit steady enough to get a reading on the 20″ steel plate. A tripod would have made a world of difference at these ranges. Even sitting it on top of the rifle to try and steady the unit did not have any effect. It really needs to be able to be mounted on a tripod. To conclude, this unit is durable, lightweight, and small. Plus with good optics and a fairly good laser, it makes a solid unit. BUT, for serious long range work, it suffers because there is no means to mount it to a tripod.